Jessica Appleton is a Registered Nurse with with postgraduate qualifications in paediatric nursing and had worked as a paediatric nurse for 8 years. She completed her Bachelor of nursing honours gaining a first class grade in 2013. Her honours research focused on parent perceptions of childhood obesity, weight and feeding as expressed in online discussion forums. She is currently a PhD student with the School of Nursing at the University of Sydney. 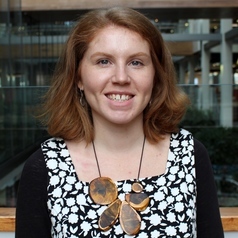 Her PhD research focuses on infant formula feeding and rapid weight gain as well as parent's formula feeding practice and sources of information, advice and support.